Inside us is an energy that can make us whole, physically, mentally, and spiritually. By learning to meditate accurately, we tap into this energy and heal our physical illnesses, emotional stress, and spiritual isolation--from within. Perhaps you've heard that meditation has aided others in times pain, anxiety, and confusion. Dr. Post talks are designed to give us an introduction into the multi-faceted aspects of meditation. In his lively and practical workshops Dr. Post, contributing author to: "Meditation as Medication for the Soul" will clarify the many benefits of accurate meditation, and will provide every participant a personal, instructed demonstration of meditation. We seek peace and understanding in our busy lives. For many, there is a deep sense of yearning for greater satisfaction, fulfillment, and enjoyment in the moments of our lives. You may have heard about meditation and that it can be helpful for physical health, stress reduction, and peace of mind. It has helped many find purpose in their lives, access creativity, and improve performance. Perhaps you've heard it has aided others in times pain, anxiety, and confusion. Dr. Post talks are designed to give us an introduction into the multi-faceted, magical, “down to earth” and mystical world of meditation. We will highlight the physical, mental, emotional and spiritual benefits related to Meditation. Also, we will explore “Concepts of the Ancients”, to recent studies of the “Near Death Experience”; connecting meditations ultimate relationship with our life purpose. 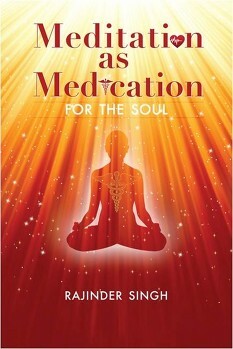 Based on the book: "Meditation: As Medication for the Soul", by best-selling author, Rajinder Singh. Dr. Post. It will encourage, inspire, and motivate you explore your own "Inner Space". This book is available in five languages. This landmark book presents the proven benefits of meditation for spiritual, physical, mental, and emotional health; for improved brain function and performance; and for achieving balance, wellness, and pain management. Sant Rajinder Singh Ji Maharaj provides clear and compelling support for the value of meditation for the health of the spirit, upon which the health of the body and mind are based. Noted medical doctors, cancer researchers, psychiatrists, psychologists, chiropractors, homeopaths, physiatrists, brain researchers, neuroscientists, and those involved in alternative medicine contributed articles rich in evidence supporting meditation as a complementary treatment modality. The book includes meditation instructions that anyone can try. A must-read book for optimum health and wellness. Click here to read our recent article about A matter of the mind. Click here to read our recent article about Meditation.